A few weekends ago I joined my Blogger friend April of Knocked up Fabulous on a thrifting trip organized by Troy the Thriftanista herself! It was a two-stop party bus full of mimosa-drinking thrifting lovers! What a wonderful way for a novice like me to enter the thrifting world! I was in the presence of pros! They are seriously the best at what they do and they helped me get some pretty amazing pieces for such amazingly low prices. 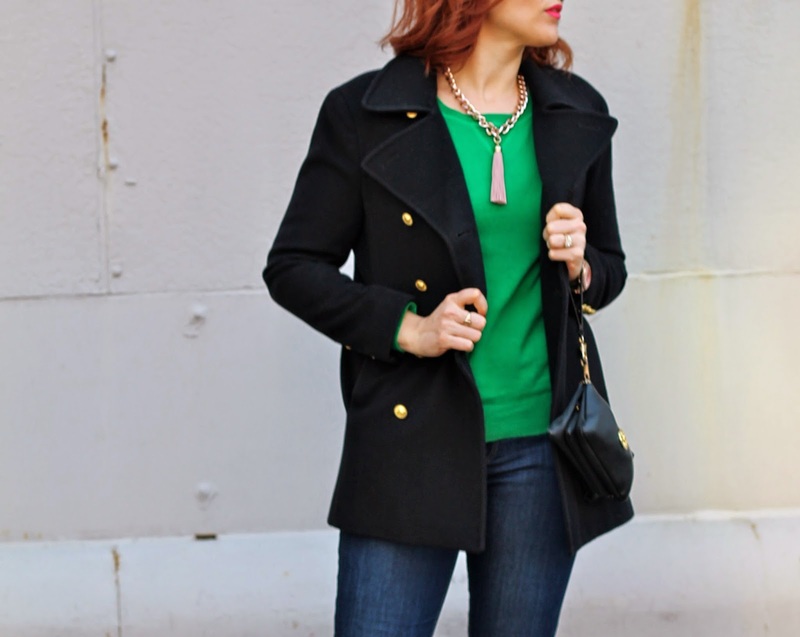 Case in point, this pea coat with great gold buttons was just $9! I also scored a silver La Mer watch for $2 as well a few random pieces that I'm sure will make their way onto the blog soon enough.